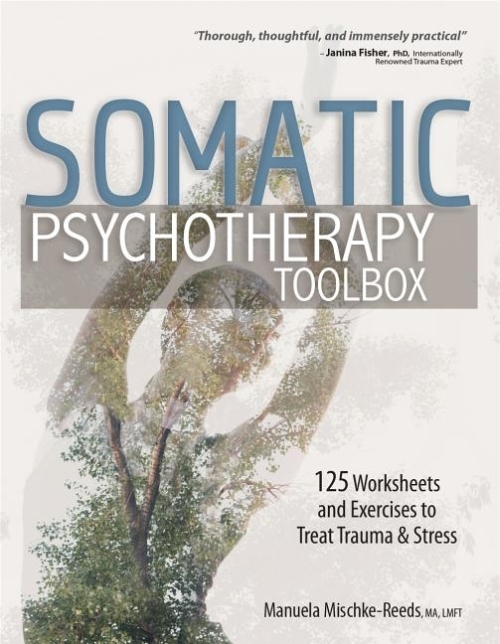 Whether you’re new to somatic approaches or a seasoned practitioner, this toolbox will be a game-changer in your work. From over 25 years of clinical experience, Manuela Mischke- Reeds, MA, LMFT, has created the go-to resource for mental health therapists who want to incorporate somatic techniques into their daily practice. Highly-effective for clients dealing with trauma and stress disorders, somatic psychotherapy is the future of healing the entire person-body and mind. Manuela Mischke-Reeds, MA, LMFT, is a licensed somatic psychotherapist, international teacher and speaker, author and meditation teacher. She co-directs and teaches at the Hakomi Institute of California and is the developer of “From Trauma to Dharma,” a somatic trauma training for professionals. Mischke-Reeds is the author of 8 Keys to Practicing Mindfulness and a contributor to Hakomi Mindfulness-Centered Somatic Psychotherapy.